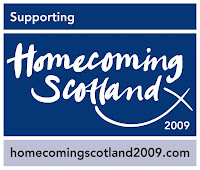 2009 is the Year of Homecoming in Scotland. you'll recognize the song, I think, and probably some of the singers. stay tuned here at Music Road for more on the year of homecoming.